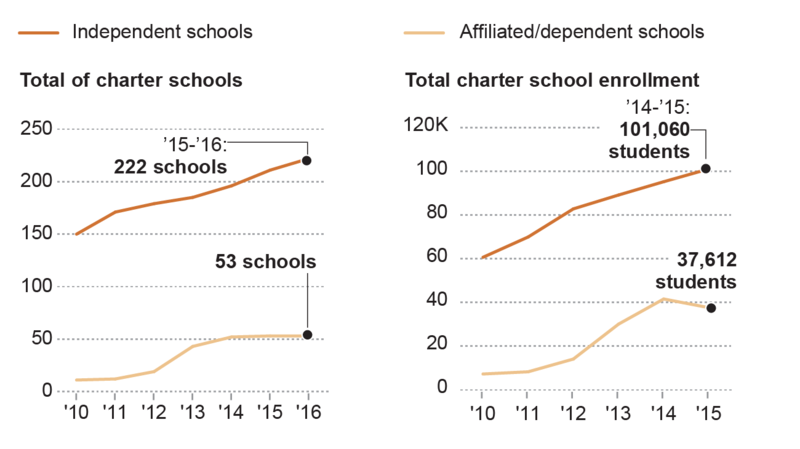 Overall, L.A. Unified enrollment has decreased, but charter schools are growing. The district served over 300,000 lunches per day in fiscal year 2014-15. Approximately 79% of LAUSD students qualify for free or reduced-price meals. Almost three-fourths of L.A. Unified’s students are Latino, but the same can’t be said about their teachers. L.A. Unified’s SAT scores haven't changed much since 2009-10, but its graduation rate has been rising gradually.